Organized kitchen with a few tricks. Shelves, space saving baskets in a variety of sizes, that label order in the kitchen, with intelligence and ease thanks to the forms that adapt easily to all spaces. Every product design to exploits every little corner. Everything in the right place. These products offer a better chance of movement and access to reach the products stored. From now on, heights or depths are no longer an impossible challenge. SmartKitchen, the intelligent kitchen. Products coated in Polyhtherm® : the exclusive Metaltex anti-rust and anti-dust coating! 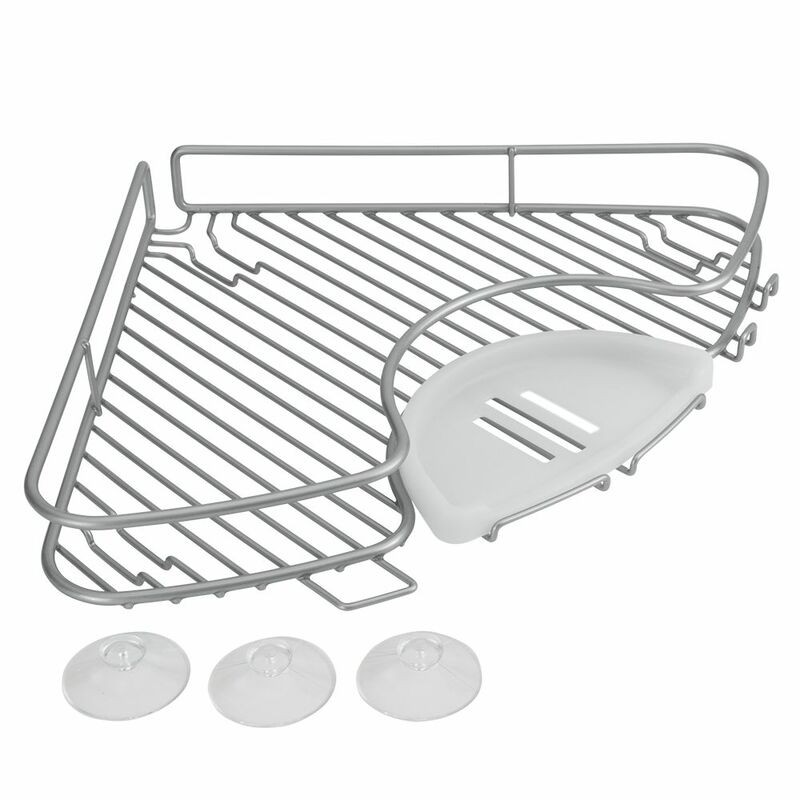 The CLEVER Flip Shower Shelf has a beautiful clean design with an innovative twist. Use as a typical shower basket or simply "FLIP" it for a contemporary shelf. Installation is easy and secure using waterproof silicone glue. Storage hooks are included to hang modern razors and accessories. For complete organization, mount the CLEVER Flip Shower Shelf alongside the CLEVER Shower Dispensers and conquer clutter for good. Bathtub Corner Shelf Organized kitchen with a few tricks. Shelves, space saving baskets in a variety of sizes, that label order in the kitchen, with intelligence and ease thanks to the forms that adapt easily to all spaces. Every product design to exploits every little corner. Everything in the right place. These products offer a better chance of movement and access to reach the products stored. From now on, heights or depths are no longer an impossible challenge. SmartKitchen, the intelligent kitchen. Bathtub Corner Shelf is rated 4.0 out of 5 by 1. Rated 4 out of 5 by LSav from As expected Been working great for approx one month. It sits right on the ledge of the tub, ie no higher. Likely makes it stronger but would have to be removed for an adult to use the tub for a bath.